Fill the little bowl with apple cider vinegar so that the depth is approximately 1in/2.5cm. Drop 1 drop of any dishwashing liquid in. 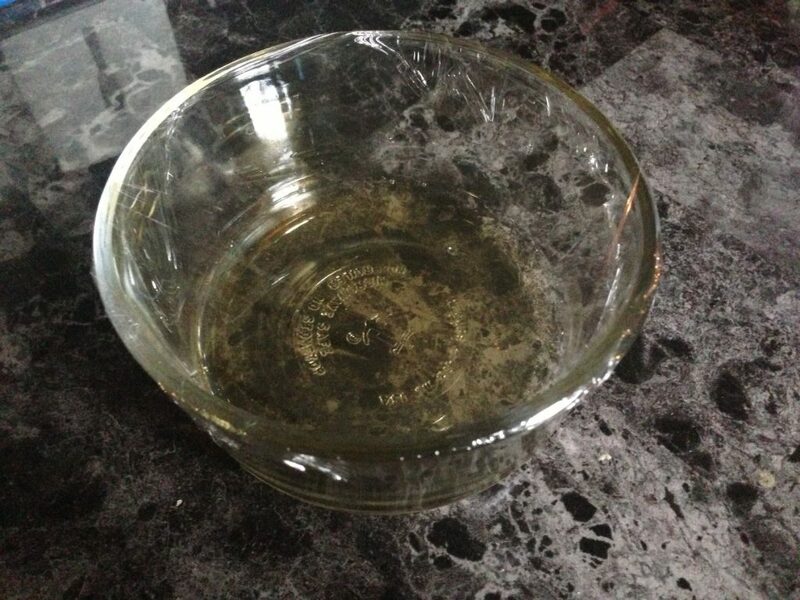 Place the bowl(s) around your kitchen on the countertop or under the sink, any where you sees fruit flies. This trap will start working immediately. The flies will be attracted to the scent of the apple cider vinegar. As you can see in the pic I have a few captured already! In addition, in your sinks, in the rooms where the FF are, splash ammonia straight fro the bottle into the sink, let it drain down past stopper into connection pipes below; do this at night after use of sink has ended for the day. Believe it or not, the gnats, or Fruit Flies like it down there in that silly drain. I did not believe it either. I asked an old timer, old plumber about ammonia into a drain fable at night time, in effort the knock off the gnats. He said FOR SURE it works did it for all his customers over the years. This time of the year, if you cut up melons in the kitcchen wash off in the sink, those damn gnats and FF come from no where, right? Tonight and the next few nights spalsh some plain old ammonia in that kitchen sink. Try it, it works. I use malt vinegar and 1 teaspoon of sugar with just a little warm water. Question-Should I cover the bowl with plastic wrap as it looks like in the photo? Do I then punch holes in the plastic wrap? Thank you for a reply! Is that plastic wrap with a hole in it over the top of the bowl? Will this work for flies? Gonna try this right now! !